When Citizen started on its quest to provide the correct time on demand to anyone on earth, global positioning satellites (GPS) were well known. By the mid-1990s, anyone with a car recognized that the acronym represented technology that was helpful for the directionally challenged. But while GPS could direct a driver in search of an optimal route, with estimated timing information, no company had at that time placed a GPS chip in a wristwatch to indicate the correct time of day. Sensing yet another timekeeping challenge, Citizen more than a decade ago set out to develop GPS technology for wristwatches. 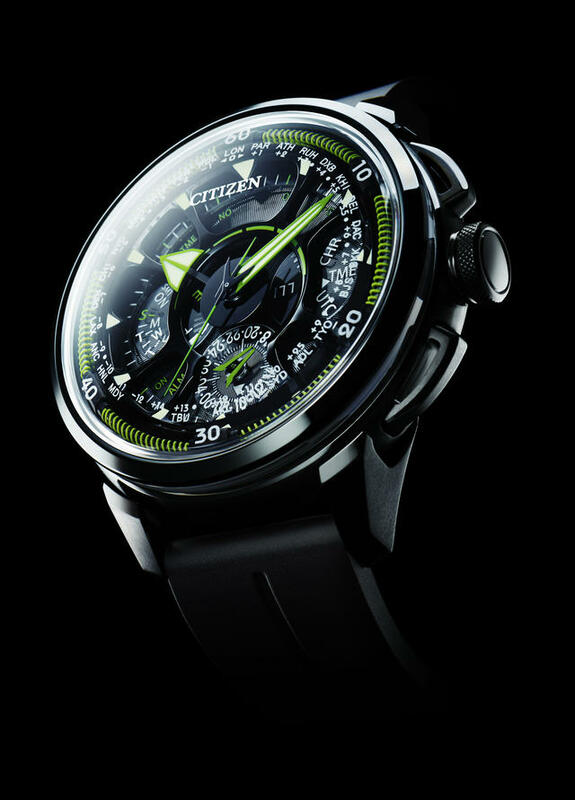 By 2011 Citizen debuted the green-tinged Eco-Drive Satellite Wave, the world’s first light-powered satellite-synchronized analog watch. 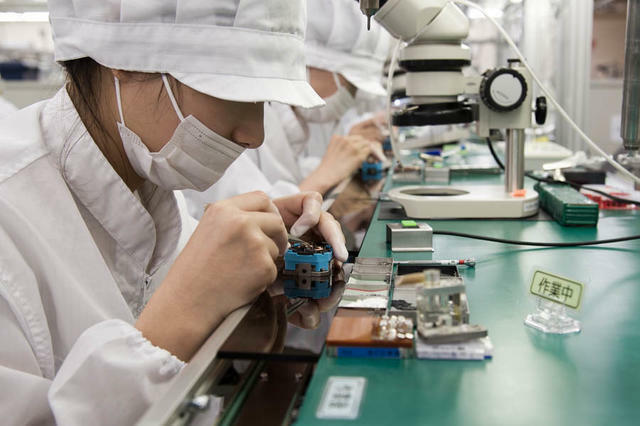 Citizen’s attention to new technology has been at the core of the company’s success since it was founded 100 years ago in Tokyo. As it celebrates its first century this year, Citizen continues to focus its resources on technical advances like GPS timekeeping, light-powered movements, hardened titanium alloys and ultra-thin quartz movements. 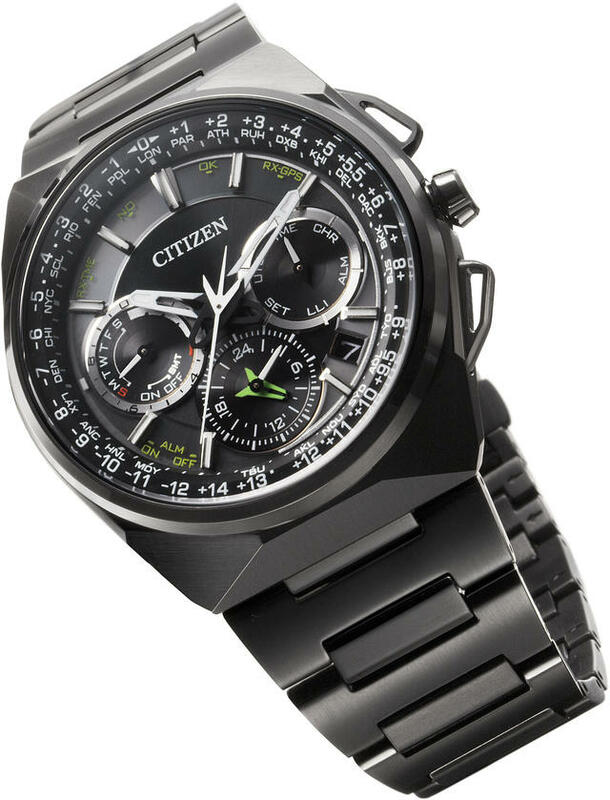 To recall this century-long drive to innovation, this year Citizen debuts the Promaster Eco-Drive Satellite Wave GPS F990, a sleeker, brighter and technologically updated version of the first Satellite Wave model Citizen debuted in 2011. The Promaster Eco-Drive Satellite Wave GPS F990, debuting at Baselworld 2018, offers Satellite GPS Timekeeping Technology with Synchronized time adjustment available in 40 times zones. 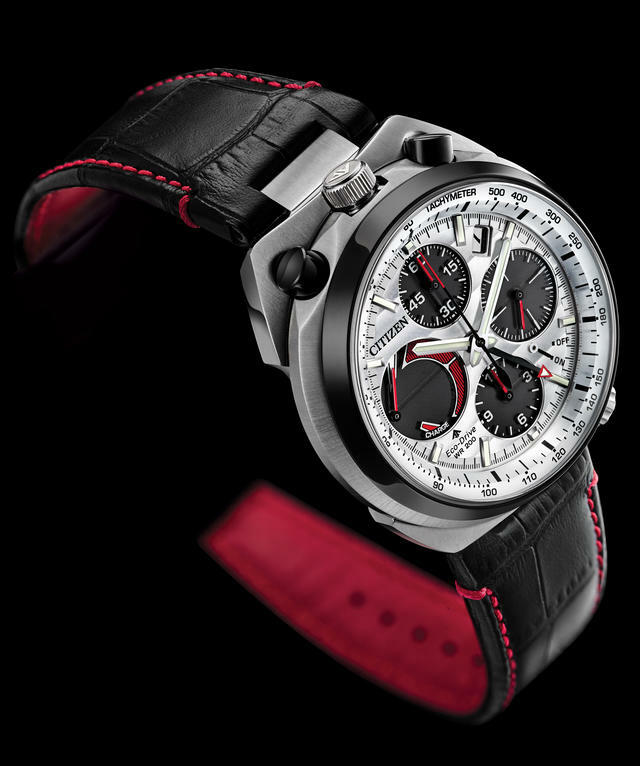 Inside a DLC-coated 49mm titanium case, the watch features an alarm, perpetual calendar, light-level indicator, dual-time display and a chronograph. 1,500 will be made, each priced at $3,500. Though this new watch echoes the original model’s green color accents and dial layout, its technology is light years ahead of the groundbreaking original. The 2018 Super Titanium-cased model is thinner and lighter than the ceramic original while inside Citizen’s new GPS technology automatically adjusts to the local time more quickly than the original model. In addition, the new model offers a new 24-hour hand and newly skeletonized pushers. Citizen's Satellite Wave F900 is a multi-functional GPS satellite synchronized watch from 2015. The idea this year is to recall that initial model, and more broadly to spotlight Citizen’s technical focus as a watchmaker as it celebrates its 100th anniversary. At Baselworld 2018, Citizen is offering additional examples of new GPS watches, as well as watches that demonstrate technical breakthroughs within its Eco-Drive models, explains Citizen’s Global Brand Manager Norio Takeuchi. Takeuchi adds that Citizen will also debut an even more advanced version of its ultra-thin Eco-Drive One (which debuted two years ago) at Baselworld. A 1993 Citizen Radio Controlled watch. These investments have, over decades, been at the core of Citizen’s leadership in a variety of technical timekeeping arenas. Primary among these, he emphasizes, is Citizen’s unparalleled development of light-powered technology for timepieces. 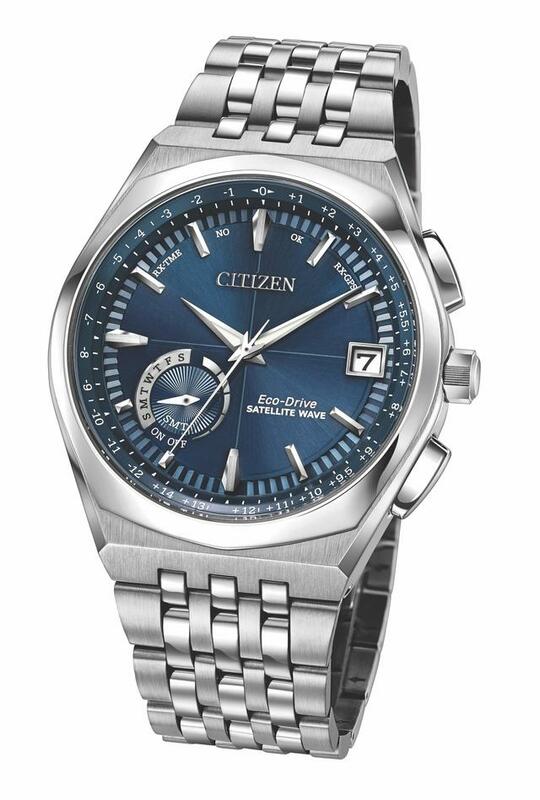 Citizen’s forward-looking technical focus often means it jumps ahead of trends before they become global. 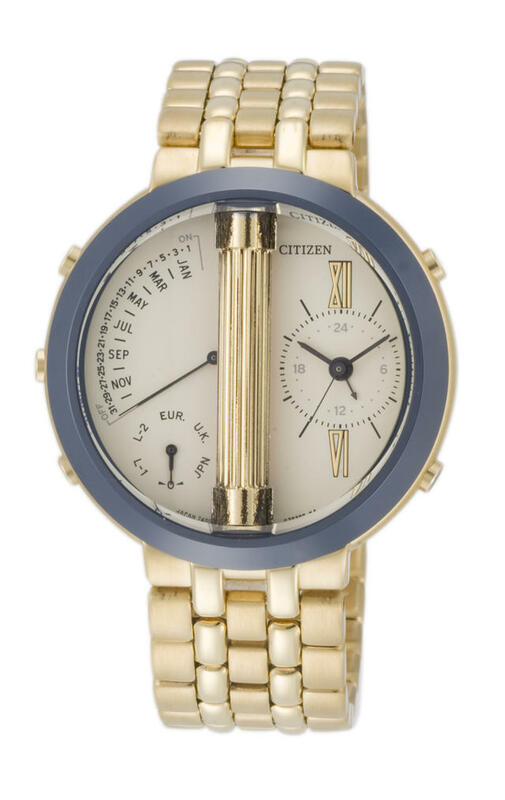 For example, Citizen was well ahead of its time forty years ago as it developed light-powered movements. “Forty years ago few people cared about ecology in reference to watches, but today the world is very aware of this,” Takeuchi explains. “We forecast this interest forty years ago. Now the environment is a worldwide issue. And now everybody sees the value of the Eco-Drive technology.” Similarly, the watch world today sees the value of using titanium cases and bracelets. 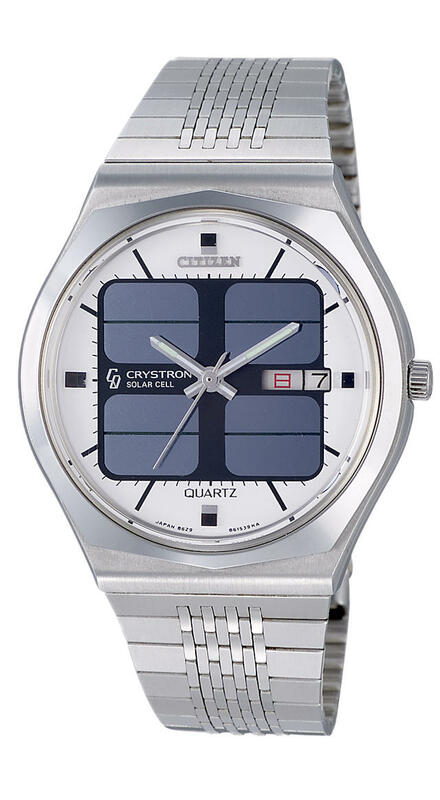 Citizen’s deep investment in its own metal development technology allowed it to experiment with titanium cases well before other watch companies. Citizen's new Tsuno Chrono Racer reprises a 1973 'bullhead' model. New in 2018, it's available in two limited editions of 1,973 pieces and two unlimited versions. Prices from $795 to $895. Some would argue that the smart watch today represents a type of cutting-edge wristwatch technology. While Citizen recognizes this position, its views on connected wristwatch technology mean you likely won’t see a touch-screen Citizen for the wrist anytime soon. 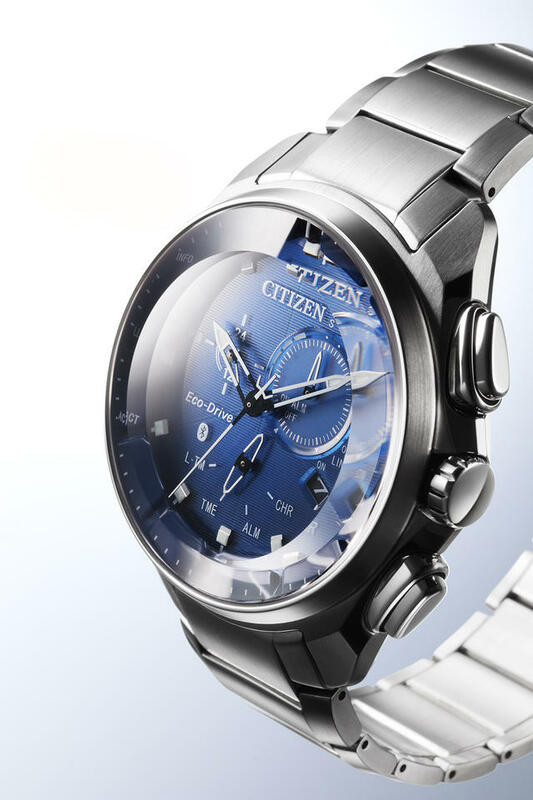 He reminds us that in 2012 Citizen also debuted the Proximity, the world’s first Bluetooth-synchronized light powered watch, which Citizen sold only in the United States. On the ten-year anniversary of the premiere Bluetooth watch, Citizen in 2016 launched a newer Proximity that could be synchronized with both iPhone and Android. 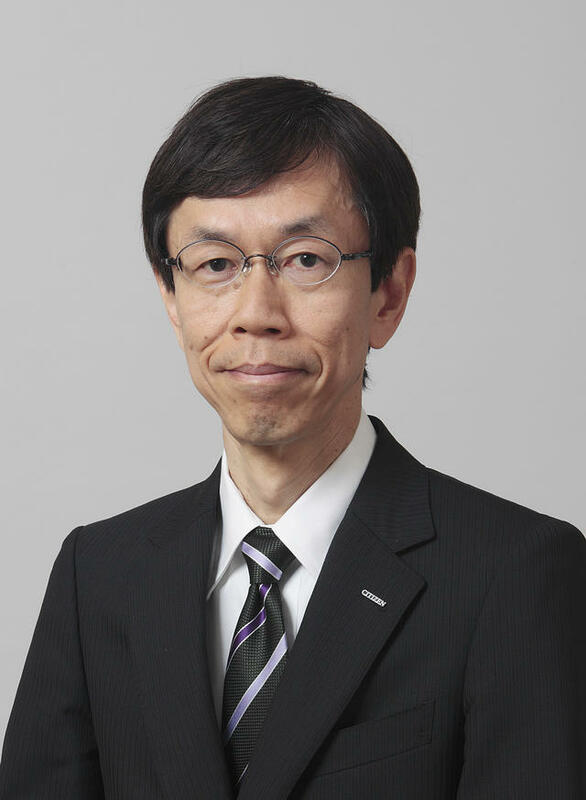 Citizen’s core focus on technology complements its desire to improve the world, notes Takeuchi.